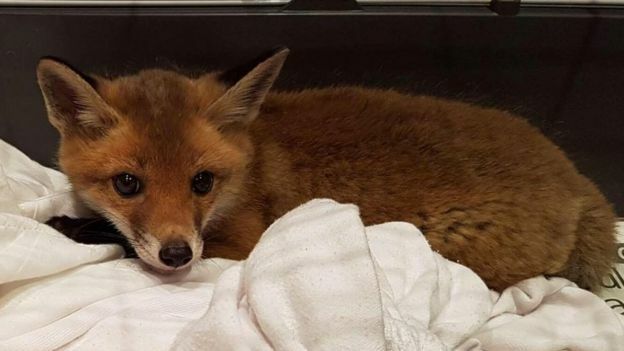 A fox cub was rescued after a curious cat found it underneath a sofa. It is thought the six-week-old cub had been "lodging" in the house in Welney, on the Cambridgeshire/Norfolk border for several days after getting through a hole where a cat flap used to be. The homeowner had noticed "a smell" and when her cat began "standing guard" by the sofa, she decided to investigate. The wily intruder is being looked after by Fenland Animal Rescue until it can be released. "It wasn't until she looked under the furniture and noticed two little eyes staring back at her, that she realised she had a lodger," the charity's founder Josh Flanagan said. "It soon became apparent this little one had been in the house for several days and had been without food or fluids throughout." Unable to find any trace of its mother, they had to take it into their care. Ten days later, after careful feeding and treatment, the "seriously dehydrated" and starving cub is doing well. 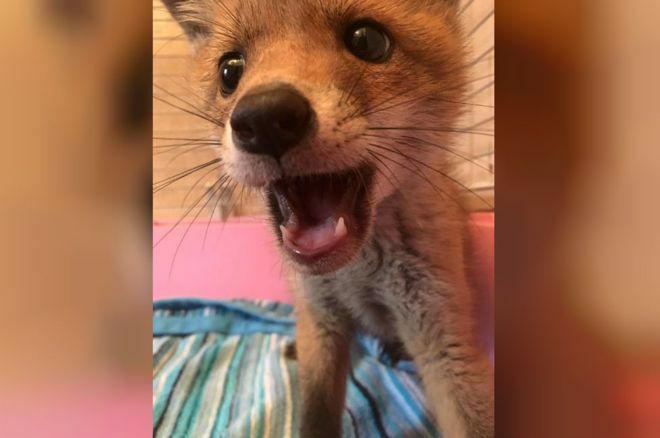 He has been moved to a semi-wild outdoor pen "so that he can remain wild, but also enjoy the space to play and explore like any fox cub should", said Mr Flanagan. Once old enough, and if he has developed the skills he needs to survive in the wild, the fox cub will be released. 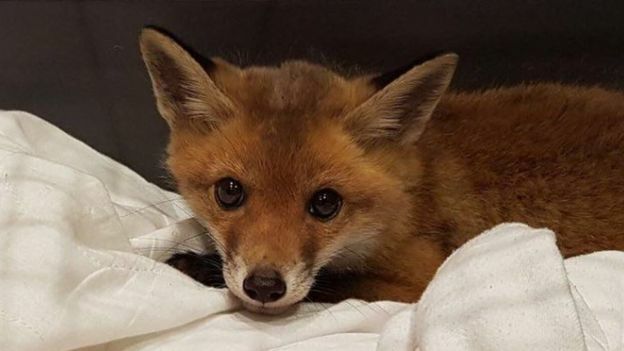 Responses to "Cat rescues fox: Curious cat finds fox cub 'lodging' under Welney sofa"